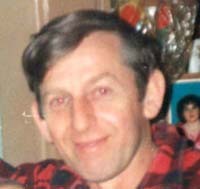 CONRAD– Charles “Albert”, 78, of Liverpool, Queens County, passed away Thursday, February 9th , 2012 at QE I I Health Sciences Center, Halifax, Nova Scotia. Born in Liverpool, Nova Scotia, he was the son of the late Orris E. and Edna Mae (Bell) Conrad. Charles was employed with Mersey Seafoods Limited for 33 years. Charles enjoyed woodworking and hunting and especially enjoyed country and western music. He is survived by his wife Donna (Jollimore); daughter Karen (Paul Cunningham) of Liverpool, his sisters Roxie Woodworth of Pleasantville, Laurene Himmelman of Liverpool, Madeleine of Lahave Manor, Bridgewater; Verna (Philip) Campeau of Ontario, Carolyn Heffler of Liverpool, Florence (Arnold) Whynot of Liverpool, Paula (Gary) Roy of White Point. Brothers Frank, of Lahave Manor, Bridgewater; David (Josetta) of Halifax, Paul (Louise) . Grandchildren Chelsey and Mika. He was predeceased by his son Wendell and brothers Edgar and John . Cremation has taken place under the direction of Chandlers’ Funeral Home, Liverpool. There will be a private family graveside service at a later date in Trinity Anglican Cemetery, Liverpool. Reverend Judy Cross officiating. No flowers by request, donations may be made to the family. Online condolences may be made to www.chandlersfuneral.com. Another loss for our family. Thinking of all of you at this time. Have faith in knowing that he is in a better place now and free from pain. Take care. SO SORRY FOR YOUR LOSS AND ANOTHER LOSS FOR OUR FAMILY. THINKING OF YOU ALL AT THIS TIME. HAVE FAITH IN KNOWING THAT HE IS IN A BETTER PLACE AND FREE FROM PAIN. TAKE CARE. so sorry to hear of your loss,I grew up with his family, being a cousin and he was always teasing and making jokes. sharing your loss, cousin Ellen and Jack. I am so sorry to hear about your loss.I worked with him for 10 years at the fish plant.I am thinking of you all at this difficult time.He will always be remembered. I am so sorry to hear of Albert’s passing. I worked with him for 20 yrs at Mersey Seafoods. Every one who worked with him had a great respect for him. He will surely be missed my many. So sorry to hear about Albert, I also worked with Albert for 20 years at Mersey Seafoods, he was a very hard working man and very well liked, he will be missed, take care Donna. Donna and Karen,we were so very sorry to hear about Albert.He was a good man and i know you will miss him very much.He is with Wendell now and you know mom was waiting for him.Cherish your memories as they will help you in the days ahead.Please except our deepest condolences. I sorry to hear of Albert’s passing. I wish I could be there. I send my love and prayers. Your memories will help you in the days ahead. Albert is now free of pain and with all our family being his shy,quiet shelf. I’ve ever known. I know he will be missed by many. So sorry to hear of Albert’s passing. Our thoughts and prayers are with you all at this time. Paul Louise and the rest of the Conrad family . We were sorry to hear about Albert. Our thoughts and our prayers are with your family. Donna and family,we were so sorry to hear of Alberts passing.Take care and gather strength in each other to help you through this hard time. Clyde,Linda and David. So sorry for your loss Albert was a good man and will be missed by many .You are in our thoughts and prayers,take care . We were so sorry to hear of your loss. Our thoughts and prayers are with you at this sad time. Sorry to hear of Paul’s brother’s passing. We are thinking of you in your time of sorrow. So sorry to hear of Alberts passing.Our condolences go out to all the family in this time of sorrow.I worked with Albert at mersey seafoods and had some very great times.He was a very hard working man and will now get his much deserved rest. R.I.P. ALBERT . We all love you!..Take care.